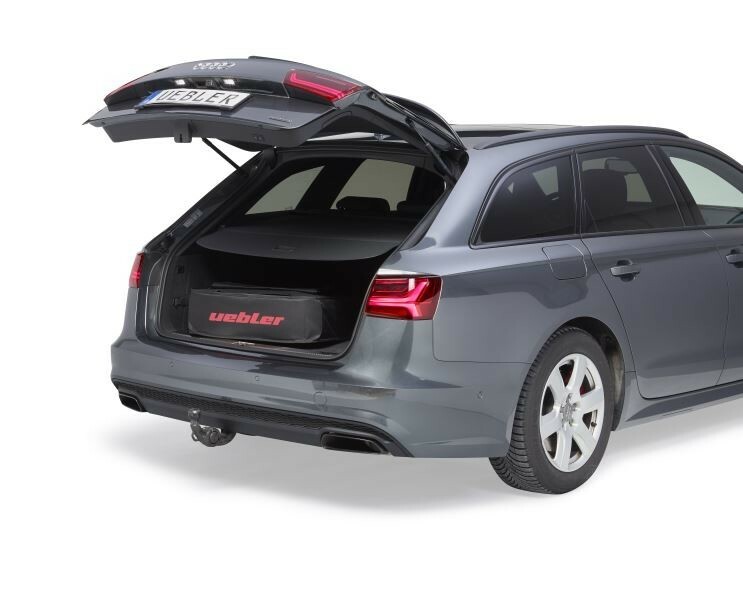 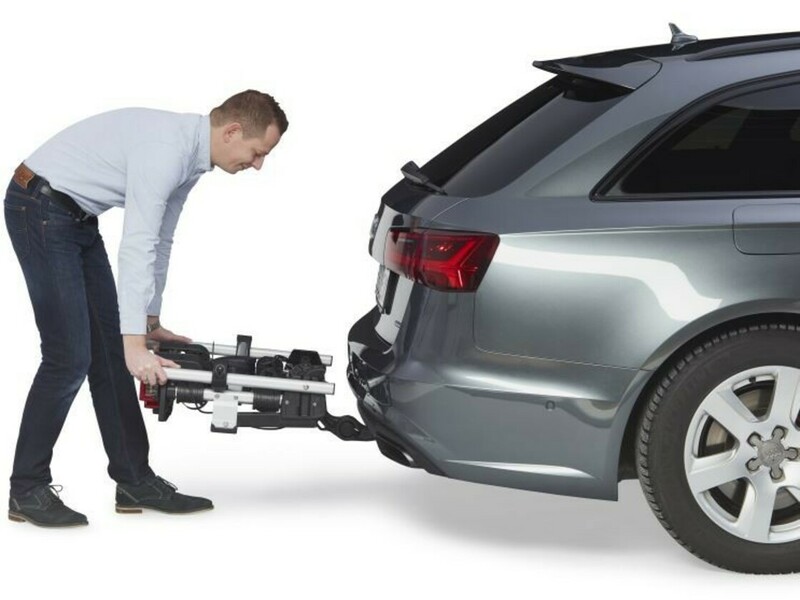 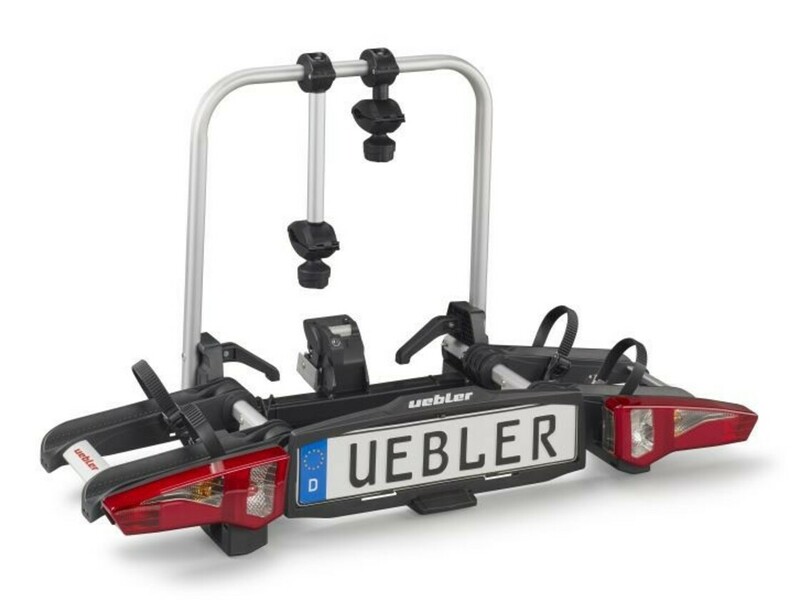 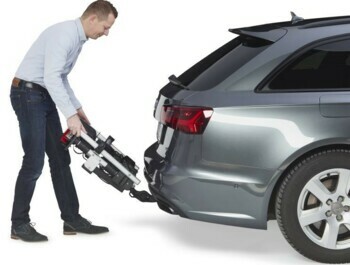 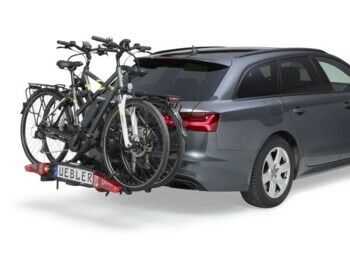 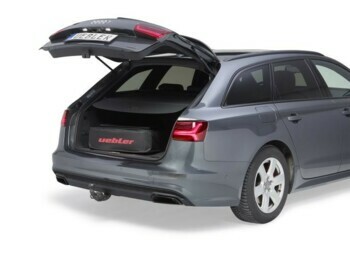 The Uebler i21 bicycle carrier is a luxury carrier by the first-class German manufacturer UEBLER. The carrier can be folded in a few seconds and stored as regular luggage. 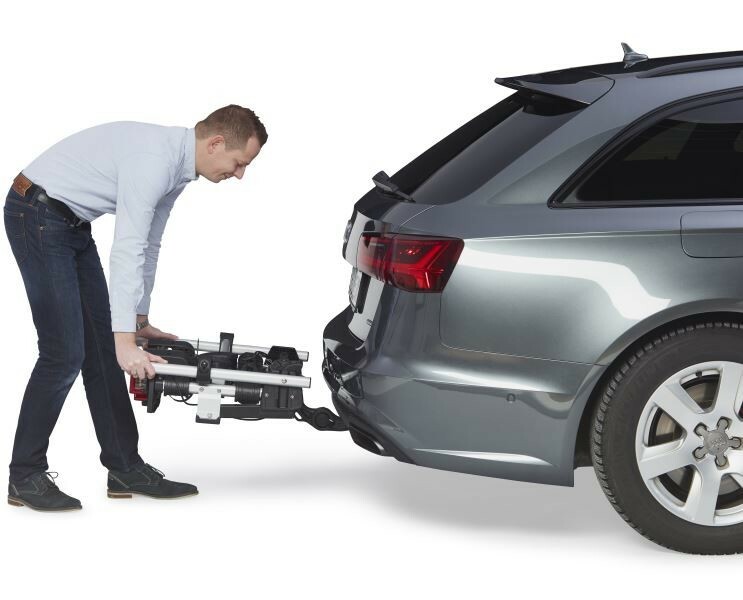 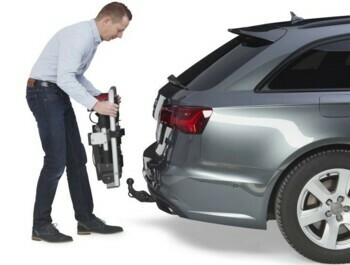 To support the carrier, the wagon must be equipped with a towing device. 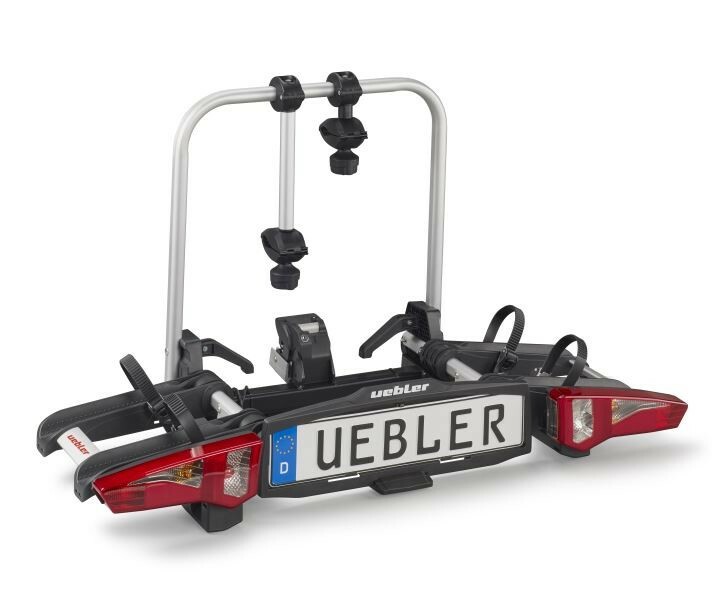 The clamping mechanism is upgraded to all other Uebler models, so you do not have to pull any lever, just lay the carrier on the TZ and open it, fixing it automatically. The mechanism has an indication of the correct clamping to avoid any problems. 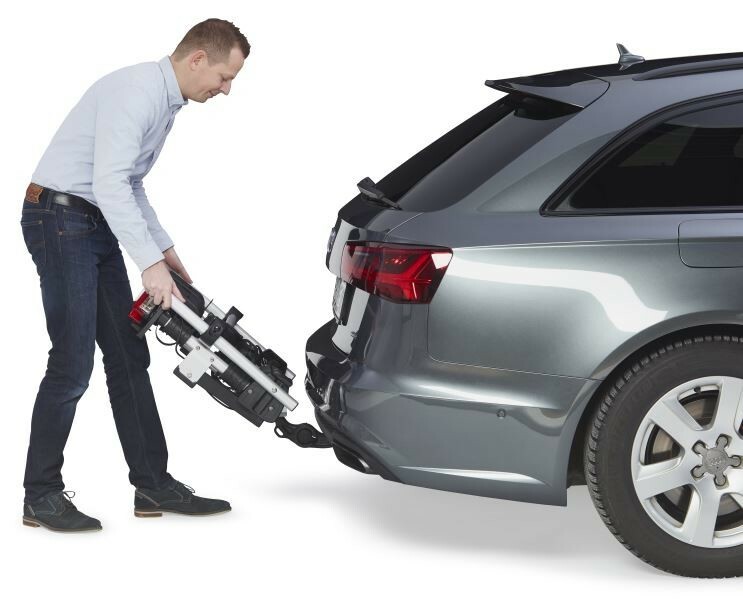 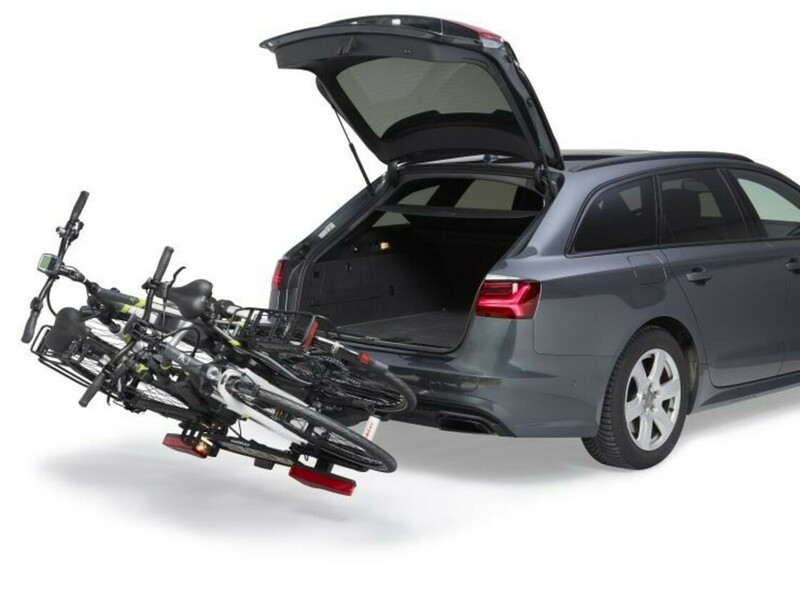 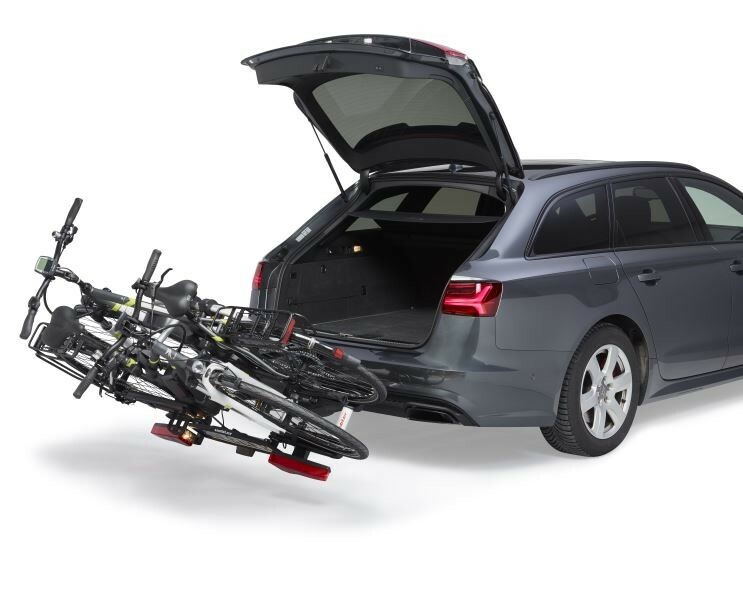 Combined with the low weight of the entire carrier, it makes the Uebler i21 really the number one on the market between the bicycle carriers on the towing device. 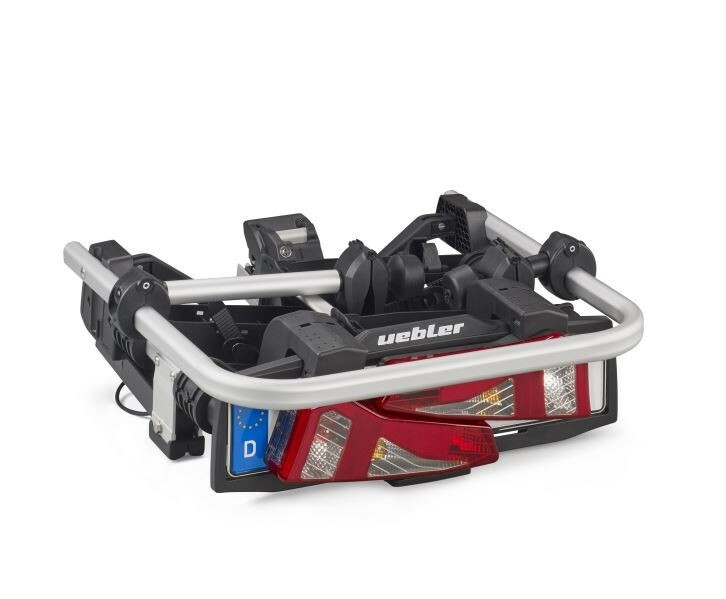 The carrier is equipped with a 13-pole electrical plug, which can be changed at 7-pole by means of an adapter (not included). 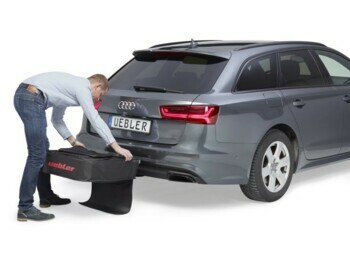 The carrier is recommended for the transport of electric cars.